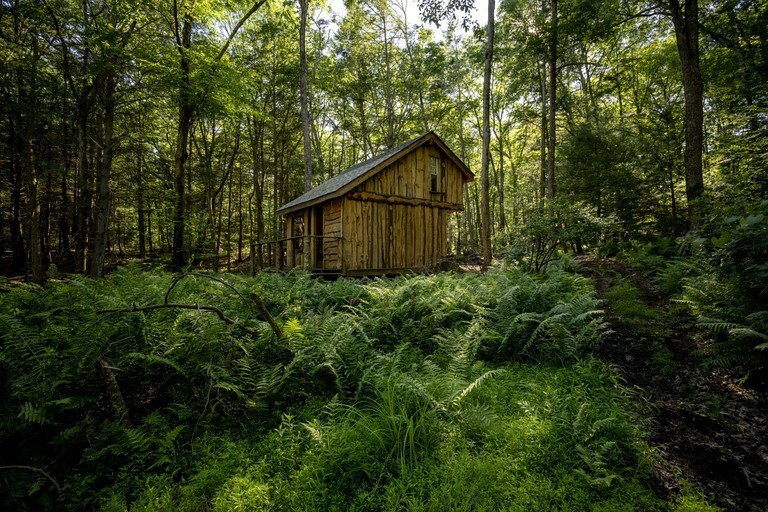 This secluded, pet-friendly cabin is located near Glen Spey, New York, and can accommodate seven guests on the lot. There is a loft bedroom and one bathroom. 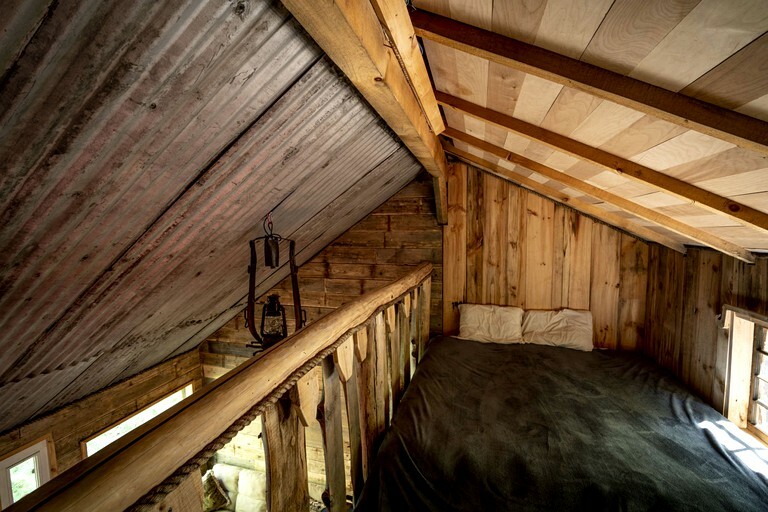 A luxurious king-size bed is tucked away in the loft. 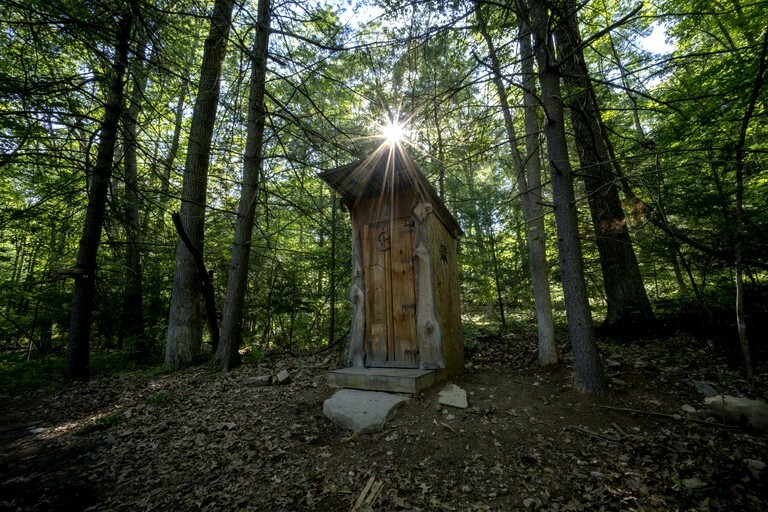 Outside, there is an outhouse and a large bathtub. Linens and towels are provided. In the living area, guests will find a cozy sofa, a record player, and records. There is a kitchenette for preparing meals. 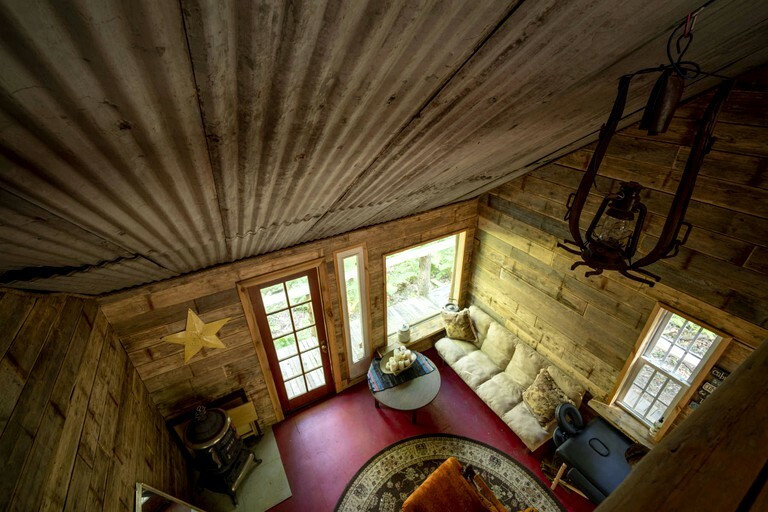 Guests of this hidden property will enjoy a record player with a variety of records. 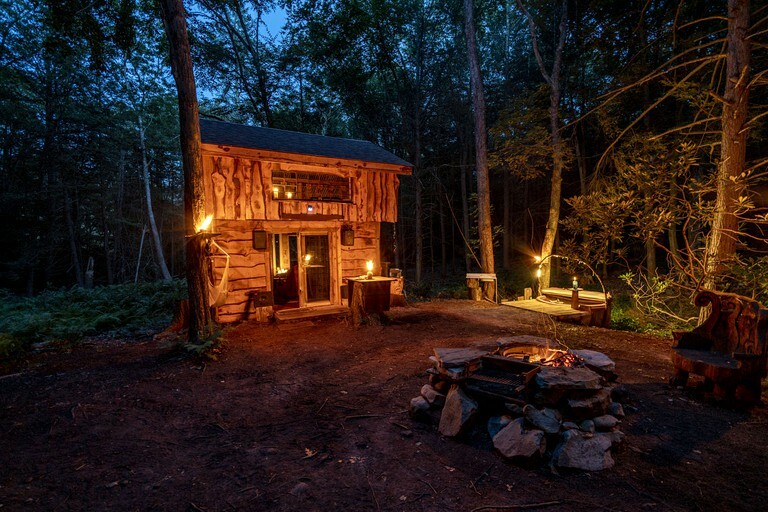 The rental is settled in the woods, with access to a grill and a fire pit. A lovely brook runs through the property and the Mongaup River is walking distance away. 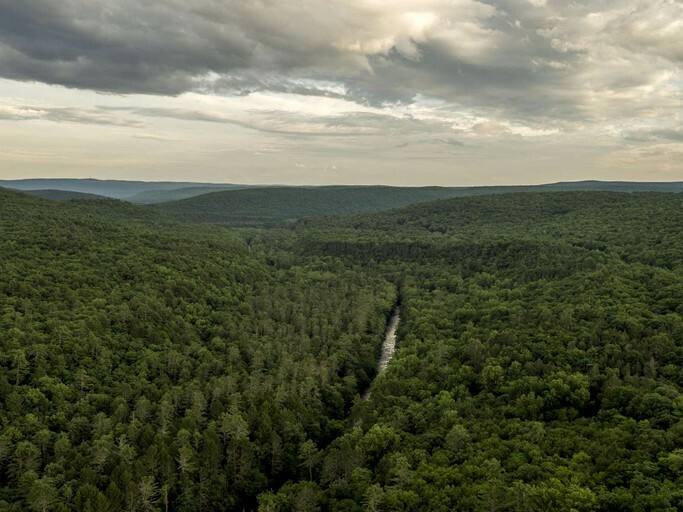 Nestled alongside 1,000 acres of forests, guests can spend their time hiking, mountain biking, and enjoying nature. The state lands offer jaw-dropping scenery that guests will love discovering, such as waterfalls. 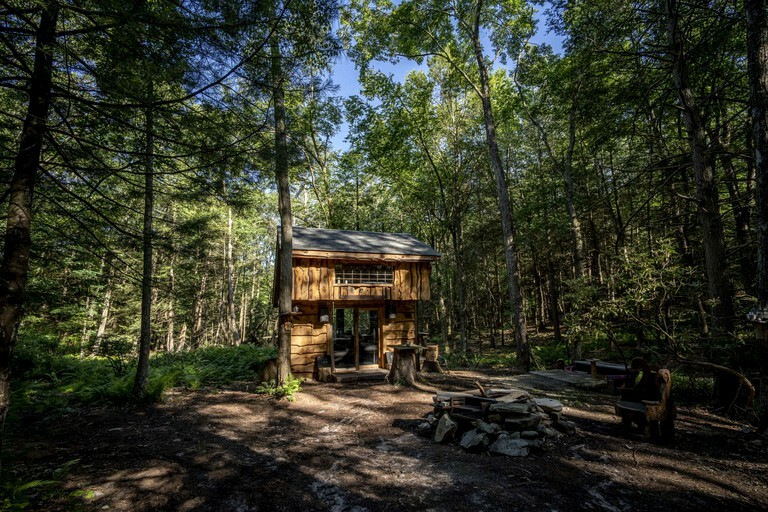 Glampers can also go wildlife watching or practice photography, with deer, owls, eagles, and other animals calling the area home. The nearby Mongaup River is a wonderful spot for boating, kayaking, canoeing, whitewater rafting, and swimming. For eateries, shops, and a welcoming community, glampers can visit the small town of Lumberland.